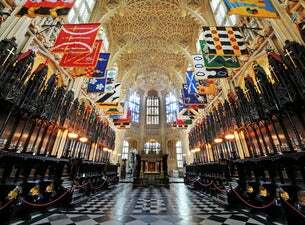 As one of the oldest Abbeys in the country, Westminster Abbey has been the traditional coronation site for English monarchs since William the Conqueror, as well as the burial place of kings, queens, statesman, poets, and philosophers. Tours of this iconic piece of British history take place multiple times a day, with recorded commentary available as an audio guide. Explore the abbey and learn its hidden gems through the archives. Cancellation Policy: There are no refunds accepted for this event. General admission tickets include the audio guide.